I stumbled across candied pineapple the other day, and have been yearning to put it in some kind of recipe ever since. I wish I could say I made the candied pineapple - but that would be a lie. It's fall, and I love fall more than anything - I love the flavors and colors and the weather. Anyway, it's the best time for things like cider and crisps. 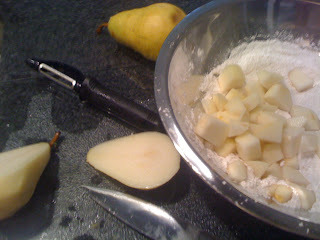 Cut the pears, mix with sugar, cornstarch, cinnamon, and salt. mix around with finger tips. 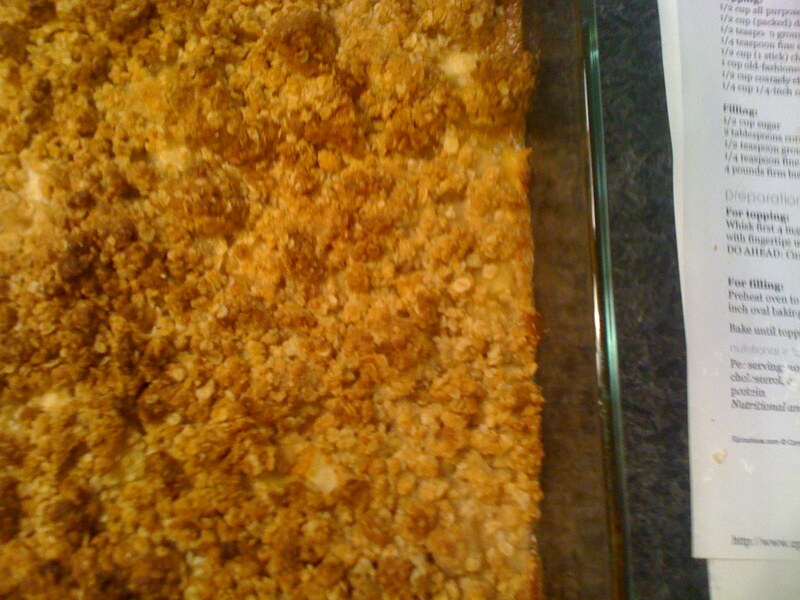 Preheat oven to 350 degrees and layer the filling on the bottom of a baking dish. 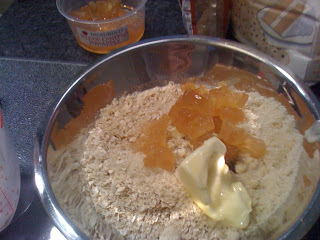 Mix the flour, light brown sugar, cinnamon, ginger, salt, oats, and almond flour with butter in a bowl. Add candied pineapple. 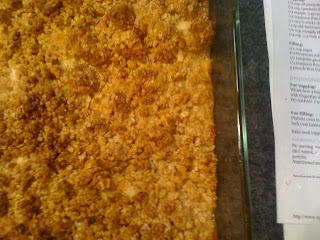 Using your fingers, really mush it together - take care not to mush the pineapple, just the rest of the filling.